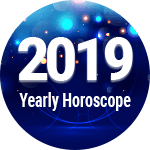 As per Astrology, the year 2019 for you is going to be full of ups and downs, leaving you with varied and mixed results throughout the year. During the first initial months of this year, you may feel anxiety taking over you, making you quite enraged and angry, even over petty matters in your day to day life. You may notice, that a distance is formed between you and your family members, especially with your father and your brother, creating a sort of a barrier in between which may have a negative impact on the bonding that you share with one another, all because of the effect of Mars on you, states your Aries 2019 yearly horoscope. To add further, it is advised that you remain alert and cautious of what is happening around, as you may also feel disturbed, uneasy and a bit edgy due to the influence of Rahu. You may also feel that your life is turning bleak, as there are chances that you may have monetary issues or be decieved by someone or something, as per 2019 Aries horoscope. Every cloud has a silver lining, and therefore you will experience positivity in the year 2019, which will make you feel confident and a lot better, so says Aries in 2019. You may witness the positive outcomes in your business in terms of getting new clients or earning good profit through sales or the stability with which it may progress. Those who have a job may also receive positive results in terms of their quality of work, or appreciation in some form which will make you feel delightful and pleased, as per Aries 2019 horoscope. During this period, you are also likely to recover from any physical ailments or damage of any sort, to your body as per your Aries life in 2019, giving you an opportunity to live a fit and a healthy life ahead. There is also an indication of your investing money on buying a new land or a property this year, safeguarding your money by expending on assets. Not just this, as per the Aries horoscope 2019 prediction, there are high chances for all of your wishes and desires to be fulfilled, leaving you with a sigh of relief and loads of contentment this year. There is a possibility that you may have to spend some money on an auspicious occasion in your family this year, so it is advised to be prepared. You will feel a positive change in you, from the inside, which will make you more polite and spiritual in your essence, as per 2019 Aries horoscope. Your life in 2019 will be affirmed and quite favorable for you, as your communication with your near and dear ones will increase, leaving you people without any negativities, complications or differences in the relationship that you share with each other. Travelling is something that is possible for you this year, be it for a short distance or a long one. So, you may either be willing to shift to another city to earn more money and gain more experience, or travel outside the country as it is very much probable according to the Aries horoscope 2019. Thus, whatever may be the case, but this year has the potential to make you genuinely delighted, as per your Aries 2019 predictions. Aries Horoscope 2019 Overall rating: 4.4 out of 55 based on 1442 reviews.